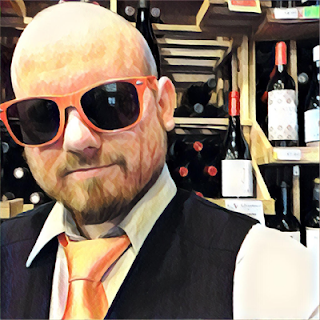 This month, as it stands right now, I'll be reviewing a total of TWELVE Merlots for International Merlot Month. That's three reviews of Merlot a week! And because I'm writing a very long, heavy, research intensive and special three-part series for December leading into Christmas, I'm gonna try to get right to the point this month. Last year when Liberty School's Merlot was brought around for a taste by the sales rep I was quite surprised. It was of perfect quality for a Merlot at its price point and ridiculously textbook in varietal correctness, so that's why I'm making it the first Merlot review this month after my monthly wine pick. It's a prime example of what quality California Merlot is all about. This wine is 100% Merlot. It's of the Central Coast AVA, and the grapes sourced within it are from 52% Paicines, 28% Paso Robles and 20% Santa Ynez Valley. It was fermented in stainless steel tanks, aged in neutral French and American oak for eight months, then aged two months in new French oak before it was racked and bottled. The final ABV is 13.9%. 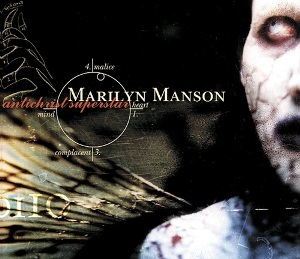 Tonight's music selection is one of the greatest albums of all time: Marilyn Manson's Antichrist Superstar. Because when all of your wishes are granted all of your dreams will be destroyed. Let's drink some wine! The color of the wine is a dark ruby red and for some reason I keep swirling the glass up against the light of the monitor to admire it. At first the nose was constrained but after some of that swirling it opened up to an explosion of blueberry pie with accessories of blackberries, vanilla and lavender. It screams #MerlotMe right up your nasal cavities. The palate starts off with cherries and then in come those blueberries, blackberries and vanilla. The fruit is concentrated, the weight is medium bodied, the tannin is structured, the acidity is high but balanced, and the mouthfeel of the midpalate is like sliding into silk sheets. It finishes with blueberry pie and oak. This Merlot is only $16. That's it. Again, for just $16 you can get a prime example of what quality California Merlot is all about. 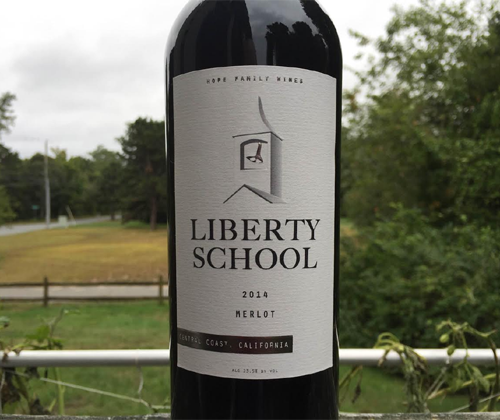 I stand up and applaud Liberty School for this feat, and I give their Merlot a recommendation. California is a perfect location with the strong educational system. So, if you are ready to become a part of particular college, order your amazing personal statement from experienced online academic writers who used to study in similar colleges one day too, have a glimpse at the weblink about california colleges for more useful information.